We are publishing recommendations for every local authority area over the course of the next fortnight (in alphabetical order), along with the details you need to know to plan your visit. The harbour is home to Spike Island, originally a sixth-century monastery with a 24-acre fortress. In the Victorian era, it was the largest convict depot in the world. Visitors can view the cells prisoners were kept in, as well as see a large collection of military equipment. Amenities: There is a café and toilets on site and there is no wheelchair access. Opening hours and costs: Tours of the island take place daily with boats leaving the harbour on the hour with the last at 3pm. Prices are €18 per adult, €10 per child and €45 for a family ticket. Youghal Clock Gate Tower was originally built in 1777 to function as a gaol. Today visitors can enjoy a guided tour of the four floors from storytellers dressed in costume, that covers 700 years of history in Youghal. Amenities: There is free parking and toilet facilities. There is no access to wheelchair users. Opening hours and costs: The tower is open daily for tours from 11am-4pm and tickets can be bought online or through the tourist office. Tickets are priced at €9.50 per adult, €5 per child, student/senior €7.50, groups €8.50 and family €24. This museum is dedicated to the life and legacy of Irish revolutionary, Michael Collins. Within the house visitors will find interactive displays, audio visuals and artefacts. Tour guides are on hand to answer any questions. Amenities: There is free parking on the street, toilet facilities and full wheelchair access. Opening hours and costs: The museum is open Tuesday-Saturday from 10am-5pm and 12-5pm on Sundays. Adult tickets are €5, student/seniors €3, children €2 and family €12. Two exhibitions are held here on the Irish Famine and Lough Hyne. The centre also has a focus on West Cork genealogy records, with graveyard lists and diaspora stories. The centre is situated where an old gasworks building was on the bank of the river Ilen. Amenities: There is wheelchair access to the centre as well as toilet facilities. Opening hours and costs: The centre is open Monday-Saturday from 10am-6pm. Tickets are priced at €6 per adult, €4.50 for senior/student and €14 for families. The abbey is located by the river Blackwater and the medieval monastery was built in the 14th century and managed by the Augustinian Canons Regular (the Black Canons). 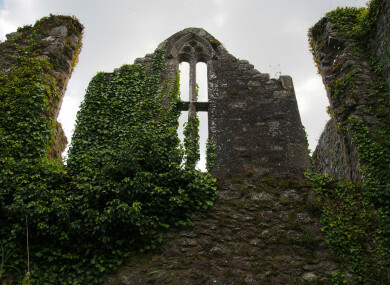 On the grounds of the ruin stands the Roche tomb and the O’Keeffe monument. Visitors can take part in a self-guided tour. Amenities: As this is an unmanned site, there are no facilities or access. Thanks to Cork County Council heritage office for recommendations. TOMORROW: Top 5 must-sees in Donegal and Dun Laoghaire/Rathdown. Email “Your summer in Ireland: 5 must-see sites in Cork”. Feedback on “Your summer in Ireland: 5 must-see sites in Cork”.